This is an excellent article which explains why Israel is an Apartheid state and why the same laws and assumptions that operated in the Deep South in the United States are today happening the State of Israel. Although Israel has been clever in covering up the nature of the state, it is becoming clearer now to more people as for example in the open operation of two systems of law in the West Bank. If you want a simple guide to why Israel is an apartheid state, there is no better article than this one. 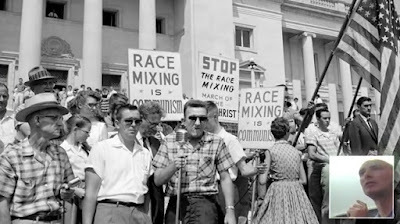 Indeed, the idea that race or religious separation was not only preferable, but helpful to one another's ability to chart their own separate but equal course, became a perverse intellectual exercise which fundamentally did nothing more than exalt the supremacy of one race at the expense of another. 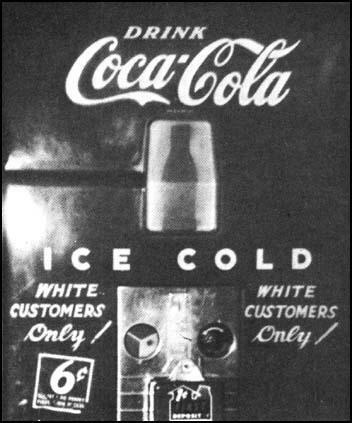 Putting aside, for the moment, the reality that facilities and services offered to African Americans were almost always of lower quality than those available to their counterpart white Americans, eventually the US Supreme Court had had enough. It held that separate could never be equal, even where there was a match in opportunity and facilities. 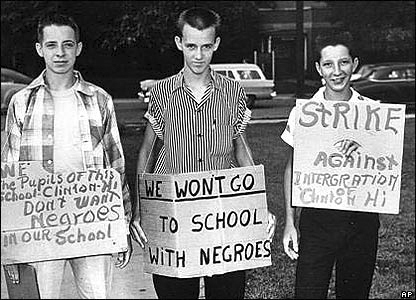 As noted in the seminal 1954 case of Brown v Board of Education, a school-based challenge to the notion of equal segregation, separate educational facilities are inherently unequal. These words were penned but six years after Israel was granted statehood by the United Nations. Nevertheless, some 62 years later, Brown's command remains a linchpin of any meaningful democratic ideal and, yet, evermore elusive in Israel, which takes pride in the falsehood of the same supremacist claptrap rejected long ago. In Israel, Palestinian schoolchildren account for about 25 percent, or about 480,000 pupils, of the state's total student population. Palestinian and Jewish students, from elementary to high school, learn in separate institutions. As noted in Brown v. Board of Education, institutionalised discrimination in the education system impedes the ability of students to develop the skills and awareness to participate on an equal footing, as individuals, in a free society. In Israel, this is no accident. It is very much the result of a conscious effort to build a permanent educational, social and political advantage of Jews over their Palestinian counterparts. In 1969, the state passed a law that gave statutory recognition to cultural and educational institutions and defined their aims as the development and fulfilment of Zionist goals in order to promote Jewish culture and education. In that light, in Israel, Palestinian children receive an education that is inferior in nearly every respect when compared with that for Jewish children. Palestinian schools receive far less state funding than Jewish ones - three times less, according to official state data from 2004. In Jerusalem, it is half the funding. This underfunding is reflected in many areas; including relatively large class sizes and poor infrastructure and facilities. Many communities have no kindergartens for three and four-year-olds. Some schools lack libraries, counsellors, and recreation facilities. Their students get fewer enrichment and remedial programmes and special education services than do Jewish children. Palestinian students are also underrepresented in Israel's universities and higher education institutions. Recent studies indicate that only 10 percent of Palestinian citizens were attending undergraduate programmes, and 7.3 percent and 4 percent were pursuing masters' and doctoral degrees respectively. Palestinian academics account for just about 1.2 percent of all tenured and tenure track positions in Israel's universities. Like a full range of public spending policies that privilege the Jewish majority, government support for student tuition fees, subsidised housing and employment opportunities is available only for those who serve in the Israeli army which, as a practical matter, excludes Palestinians. 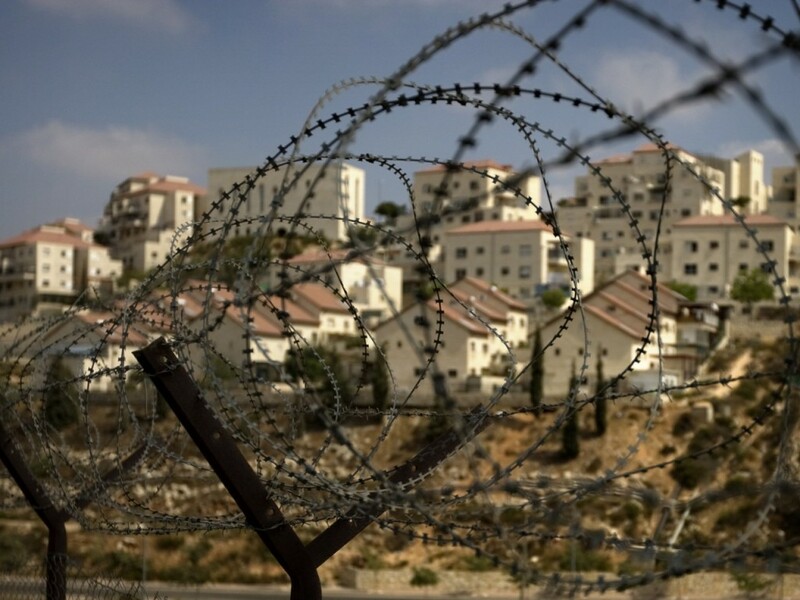 No less pernicious, for Palestinian citizens of Israel, is their inability to live and work where they choose. In 1952, the Israeli state authorised the World Zionist Organization and the Jewish Agency to function as quasi-governmental entities in order to further advance the goals of the Zionist vision, to the detriment of minorities including those with Israeli citizenship. Under the Land Acquisition Law of 1953, the land of 349 Palestinian towns and villages, approximately 1,212 square kilometres, was transferred to the state to be used preferentially for the Jewish majority. In 1953, the Knesset bestowed governmental authorities on the Jewish National Fund to purchase land exclusively for Jewish use. The state granted financial advantages, including tax relief, to facilitate such purchases. Today, 12.5 percent of Israeli land is owned by the Fund, which bans the sale or lease of it to non-Jews under the admitted premise that it's a "danger" for non-Jews to own land in Israel. In 1960, the state passed a law stipulating that ownership of "Israeli lands", namely the93 percent of land under the control of the state and the Fund, cannot be transferred in any manner. In practice, this means that in some 700 agricultural and community towns throughout Israel, housing applicants are screened by Jewish boards with the ultimate power to accept or reject applications to settle in these locales. These boards, which include representatives from the World Zionist Organization and the Fund, consider a range of criteria such as "suitability to the community's social life" and the town's "social and cultural fabric". The admission process all but guarantees that almost all Israeli towns and villages will remain Jewish enclaves, and are but a tease to those Palestinian citizens who desire to live in equality in fully integrated communities. Is it any wonder then, that today, in Jim Crow Israel, few Palestinian citizens have been found to be suitable for these communities? By virtue of state control over the racial makeup of municipalities throughout Israel, most Palestinian citizens are limited to residence and employment in the acutely overcrowded Palestinian towns and villages. In fact, since 1948, the State of Israel has established hundreds of additional Jewish communities, without permitting the construction of any new Palestinian municipality whatsoever. Indeed, of Israel's total area, just 2.5 percent comes under Palestinian municipal jurisdiction. Of Israel's 40 towns with the highest unemployment rates, 36 are Palestinian and the average employed Palestinian citizens of Israel makes just 58.6 percent of what a Jewish Israeli makes. 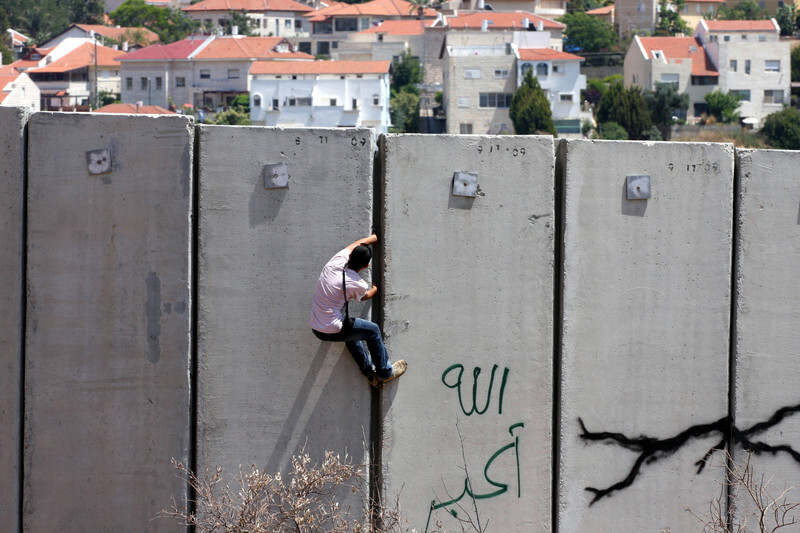 About 53 percent of the impoverished families in Israel are Palestinian. Over the years, the Knesset has used the veneer of democracy while acting arbitrarily to ensure that demographic and political control remains exclusively in the hands of the state's Jewish citizenry and parliamentarians. For example, in an effort to maintain a Jewish demographic majority, the Family Unification Law of 2003 prohibits Palestinian citizens of Israel from reuniting with their spouses who live in the West Bank or Gaza. As a result, more than 150,000 children born of these so-called mixed marriages are denied the most elementary rights and privileges attendant to Israeli citizenship. 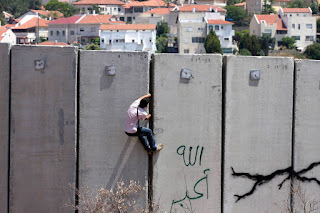 In a series of other laws, the Knesset has not only imposed a broad range of limitations on freedom of movement, speech and access to the political system for Palestinian citizens, but imposed ideological boundaries on the platforms of political parties to which they may belong. 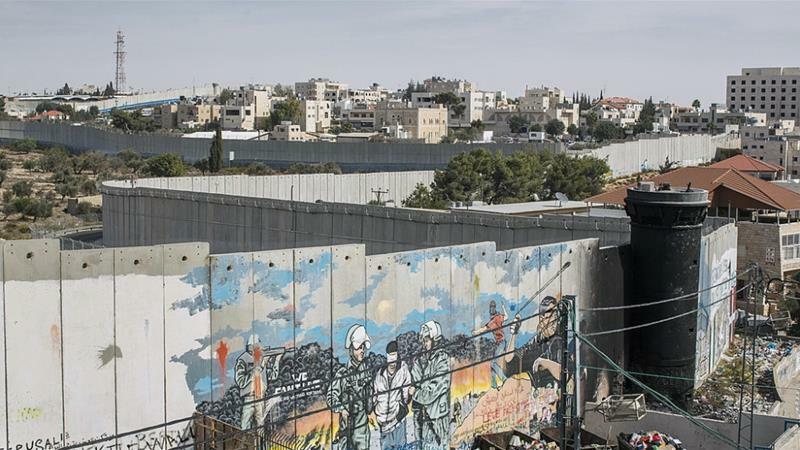 By design, such laws thwart the ability of Palestinians to impact upon a political process which, daily, dictates every phase of their lives, but yet leaves them essentially powerless to bring about any fundamental change in the system itself. These restrictions necessarily deny Palestinian citizens an equal opportunity to play a meaningful role in the political life of Israel, otherwise available to their Jewish counterparts. Under its most recent attempt to stifle its Palestinian minority, the Knesset proposedlegislation that would enable the suspension of elected representatives of the public not because of criminal wrongdoing on their part, or even because of a breach of settled legislative protocol, but simply because their political agenda is objectionable to the Jewish majority. Under other legislation, Knesset members may strip Palestinian MKs from their elected seats if they voice opposition to Israel as a Jewish and democratic state. Indeed, recently a Palestinian MK, Haneen Zoabi, was suspended from parliamentary debates for six months when, on the floor of the Knesset, she called Israeli soldiers "murderers" for their role in the Mavi Marmara incident that took the lives of nine pro-Palestinian activists. On other occasions, the Knesset has imposed severe restrictions on travel by Palestinian MKs, both domestically and abroad. Currently, there is a law that bans any political party which challenges the existence of Israel as a "Jewish" state or which advocates equal rights for all of its citizens irrespective of ethnicity. Another law empowers the interior minister to revoke citizenship of people who violate "allegiance" to the state. That Israel has become a land where laws are enacted to obstruct the free exercise of core political rights of its Palestinian citizens is beyond dispute. Ultimately, in any truly "democratic" society, citizens are able to seek redress for institutional or private injuries through an independent judicial system wed to no result but equal protection and justice for all, no matter the race, creed or religion of those who seek its protection. It's hard to imagine a more fundamental or essential arbiter of the rights of all than a judiciary that operates under no obligation but to see that justice be done without consideration of the ethnicity of those who come before it. 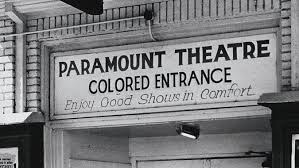 Yet, by design, in Israel, the pursuit of justice by Palestinian citizens is an elusive chase indeed; one calculated to perpetuate second-class citizenship very much the way African Americans were long held in the US under the arcane practice of separate but equal. For example, more than 200 major rulings issued by the Supreme Court of Israel have been translated into English and published on the court's website along with the original Hebrew decisions. Although the majority of these pronouncements are relevant to Palestinian citizens of Israel, none has been translated into Arabic. In the history of Israel's Supreme Court, there have been but two Palestinian male justices. Currently, all but one of its 15 members is Jewish. No Palestinian woman has ever served on the Israeli Supreme Court. At the district and magistrates court level, Palestinian judges make up less than 5 percent of those who occupy a judicial position, and even fewer who preside over labour courts. Historically, the Israeli Supreme Court has sided with majoritarian values in what can only be described as a wholesale abdication of its responsibility to see that justice be done for Palestinian and Jew alike. Thus the Supreme Court has upheld the restrictions of the 1950 Law of Return which permits every Jewish person to immigrate to Israel and obtain citizenship, yet denies the same protection to Palestinians, even those who were born in the area that is now the State of Israel. Likewise, the Court has upheld the legality of the January 2003 family unification ban that bars a Palestinian citizen from raising a family in Israel with a Palestinian spouse from the Occupied Territories. The controversial law was introduced as an amendment to the 1952 Citizenship Law, which determines citizenship for non-Jews. 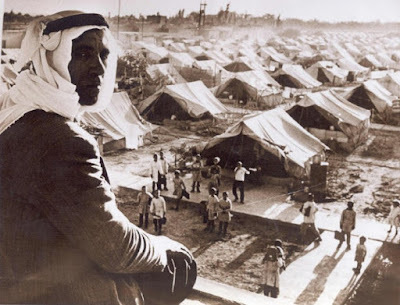 In 2014, the Court dismissed a petition by Adalah: The Legal Center for Arab Minority Rights in Israel challenging the continued Judaisation of Palestinian-owned land originally confiscated largely from Palestinian refugees inside Israel. According to Adalah, the court's decision "entrenches racial segregation" and, writes Mondoweiss Editor-at-Large Annie Robbins, "will result in the continued concentration and containment of the Palestinian population in Israel". These are but a few of the many decisions of the Supreme Court that have adversely affected Palestinian citizens of Israel on the basis of their second-class status and little else. The definition of the State of Israel as a Jewish one makes inequality and discrimination against its Palestinian citizens a political goal. The marriage of "Jewish" and "democratic" ensures discrimination against non-Jewish citizens and necessarily impedes the realisation of full equality for all citizens of Israel. What, however, the "Jewish" state has not yet come to grips with, is that eventually myths about equal opportunity and justice for some 20 percent of its population prove specious and that, ultimately, time swallows all such fallacy, whether by operation of law or, tragically, all too often, through violence.